Note: The following is a note I sent to Saber Capital Management investors. Saber manages separate accounts for clients using a value investing strategy. If you are interested in learning more about Saber Capital’s investment approach, please feel free to reach out to me at john@sabercapitalmgt.com. Last month, I had the great privilege to visit Markel and speak with Tom Gayner and a few of his colleagues at Markel in Richmond, Virginia. Markel has always been a company that I've greatly respected, in large part thanks to the leadership of Tom Gayner, who has done an outstanding job stewarding the culture that the Markel family established and maintained over many decades. I wrote about my thoughts on Markel as an investment idea a few years ago, which you can review if you're interested in reading more about the business. At our meeting, I gave a brief presentation to the Markel guys about my thoughts on a few of the stocks we own, including Google and Facebook, which are my two most recent investments. I'll have more to say about those two companies in upcoming investor letters, but I believe these are two more examples of how large cap businesses can at times become undervalued, regardless of how widely-followed they are. Apple and Tencent are examples of how even the largest companies in the world can be significantly mispriced from time to time, and I believe Google and Facebook are also in this camp at the current time. This presentation was not designed to be a comprehensive discussion of these firms, but rather just an overarching view of some of the common denominators I have found in a few of these high-quality technology companies. Part of the presentation uses some slides from a talk I did on Tencent last year (see that original Tencent presentation here). 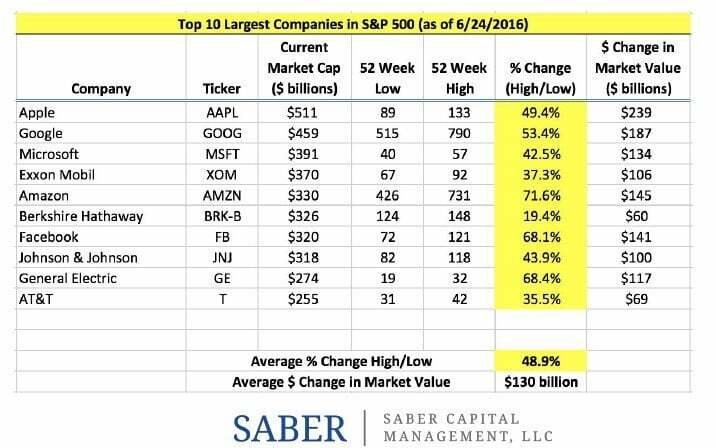 Money can be made in either bucket, but I prefer to stick with Bucket A.
Saber’s investments typically fall into one of those two categories. Category 2’s yield lower profits but occur much more often. The most important moat is a company that is focused on providing great value for its customers over the long-term. I value your partnership, and I appreciate your trust and confidence in me as your manager. Please reach out should you have any questions about anything in this email (or anything else).